Imported from Germany in November 2014 this young horse has all the attributes to be your next Eventing Star. Brilliant trainability combined with exceptional paces and a careful jump. Coconut Kiss has produced three foals in Germany, all sold at the foal auction in excess of 10 000 Euro. 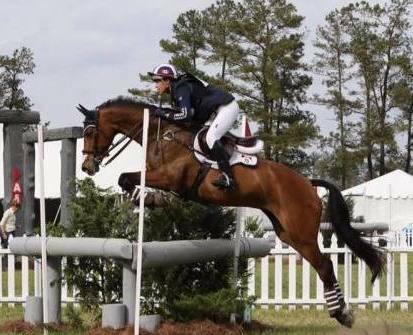 Beginning her competition career in 2014 in Germany with success in Show Jumping, since arriving in the US this mare has demonstrated her naturally bold way of going Cross Country finishing 3rd at her last event at Rocking Horse.